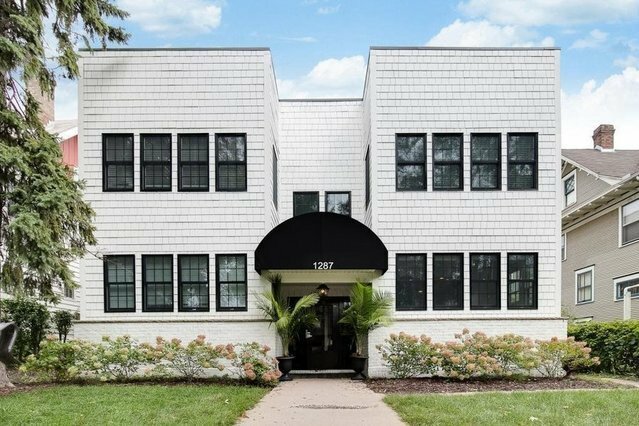 Unique opportunity to won a completely renovated 4-plex in the heat of the Lexington/Hamline neighborhood. This 4-plex currently has one owner occupied unit and three units available for short term rent or Air b&b. Tax records lists the units as 2 bedrooms but they also have very large sun-porches that may be convertible to 3rd bedrooms. Owner estimates market rent to be around $2,300 per month per unit. All new electrical and plumbing. Building has 1 boiler and 5 electrical services.